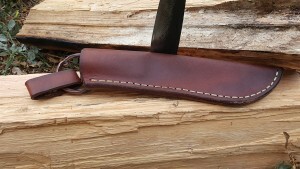 Custom fit your field blade with a hand made leather sheath, the old way! *This class will be held in a primitive backcountry setting without access to modern amenities and will require a mild one mile hike with multiple stream crossings. 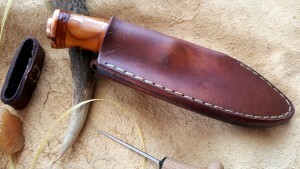 **The Traditional Sheath Making class is the last in a three part series of classes preceded by Traditional Knife Hafting and Primitive Bladesmithing.